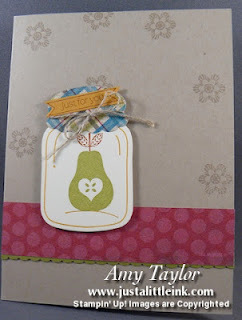 I fell in love with this adorable stamp set (Perfectly Preserved) while at Stampin' Up! Convention this year. I liked it from the time I saw it in the Holiday Catalog, but then Sara Douglas had to demonstrate on the main stage with this stamp set. 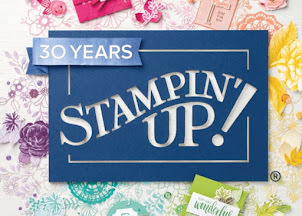 Add that to the fact that Stampin' Up! gave demonstrators who attended convention some sweet deals on a select few stamp sets and accessories, and I just "had" to get it. Anyway, I cased a card from the demonstrator magazine that used this set. 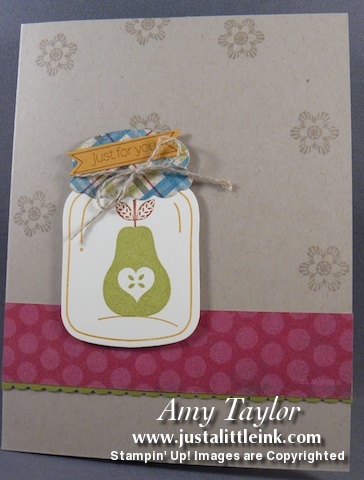 There is a Sizzix Framelits set that goes with this stamp set to allow you to cut-out the images perfectly. After I finish with my stamp club and stamp class projects this week, I hope to play some more. Hope you enjoy.